Thousands of customers, like Ed, depend on Metro transit every day to get to work, school and other important destinations. 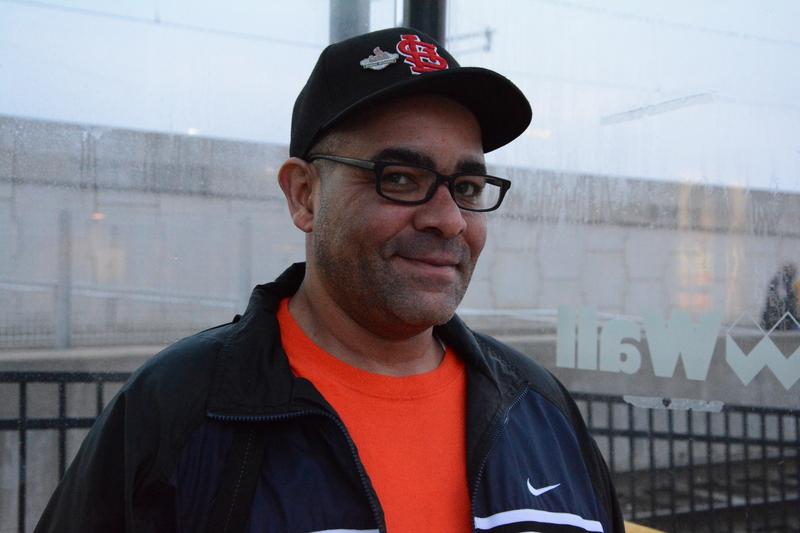 We hope you enjoy his story, and we’re interested in your transit story too. Email mrhibbard@metrostlouis.org, and we may share your story in a future “Passenger Profile” blog. As many longtime bus riders may remember, before Metro, we were known as Bi-State. That’s when Ed started using public transit. Ed first stepped onboard a Bi-State bus when he was eight years old, and he’s been a transit rider ever since. Today, it’s MetroBus and MetroLink that help him get around town. Ed said he rides Metro because it’s the transportation he grew up with. Ed uses Metro to get to work. His regular commute starts by hopping on the #35 Rock Road and connecting with MetroLink to travel to the North Hanley MetroLink Station, and then boarding the #47 North Hanley to head to his job. Ed also uses Metro to go grocery shopping or to see a movie at the St. Louis Outlet Mall (formerly St. Louis Mills). While on MetroBus and MetroLink, Ed likes to relax. He also checks on Facebook and talks to his daughter every once in awhile. As for advice, Ed recommends those new to transit should be adventurous and explore.